Thanks in part to plentiful, high-paying tech jobs, home values in major California cities have skyrocketed over the past 10 years, with Silicon Valley putting up the largest such gain in America. A new LendingTree analysis says that between 2009 and 2017, the median home value in the San Jose metropolitan area increased from $638,300 to $957,700, a gain of $319,400, more than six times the national rate. Over that period, San Jose households also posted the largest median income gain in the country: $32,991. San Francisco homeowners have enjoyed the nation’s second-largest value gains during the housing recovery, with 2017’s median $849,500 home value up by $257,900 since 2009. Households there saw median incomes increase by nearly $28,000 in that eight-year window. Los Angeles ranks No. 3 for home-value gains, at $153,500, followed by No. 4 San Diego, where values have increased by $146,100. Incomes rose by $11,467 in the former and $15,976 in the latter. The current economic cycle will reach its longest-ever period of growth in just a few months, and a downturn may be further away the economists initially predicted. Citing commentary from the National Association of Home Builders’ annual convention, The Mercury News reports that three prominent economists do not foresee a recession in 2019 or 2020. Nationwide Insurance’s David Berson characterized the chances of a downturn over the next year “pretty low,” while CoreLogic’s Frank Nothaft noted that the chances of a recession increase after the 2020 U.S. presidential election and into 2021. The economists believe that because mortgage rates remain low, the upcoming spring homebuying season should be a healthy one. Nothaft projects that sales of new homes will increase by 3 percent in 2019 compared with the 2 percent growth recorded last year. As milliennials get older and earn higher salaries, they are accounting for an increasingly bigger piece of the mortgage pie, flocking to more affordable pockets of the country to make homeownership a reality. Research from realtor.com says that millennials were responsible for 42 percent of all mortgage dollar volume as of December, compared with 40 percent of Gen Xers and 17 percent of baby boomers. Millennials have already been the largest source of originated mortgages for two years and accounted for 45 percent of home loans as of late 2018. Although millennials are gradually buying more expensive homes, the still spend less than older generations, with a median price of $238,000. The report notes that over the past year, millennials have stretched their homebuying buck further by moving to affordable cities such as Buffalo, New York; Pittsburg, and Milwaukee. With larger budgets, Gen Xers can afford homes in more expensive cities, with Los Angeles one of the top destinations for that age group. Mortgage rates have declined for the third consecutive week, strengthening economists’ projections regarding a strong spring homebuying season. The latest numbers from Freddie Mac put 30-year, fixed-rate mortgages at 4.35 percent for the week ended Feb. 21, down from 4.37 percent the previous week and 4.40 percent at the same time last year. The company’s Chief Economist Sam Khater said that in addition to low rates, homebuyers are getting a boost from wage growth that is finally keeping pace with home price appreciation. California homebuyers are in an especially good position to take out a mortgage in early 2019. 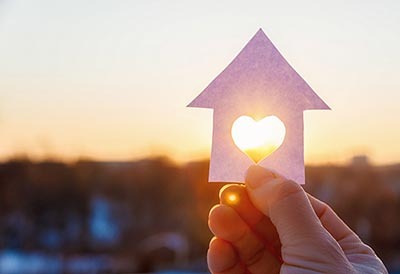 A recent LendingTree study found that Golden State homebuyers are getting the best rates in the U.S. so far this year, at an average of 4.74 percent.